All types of jewelry made of all types of metals. 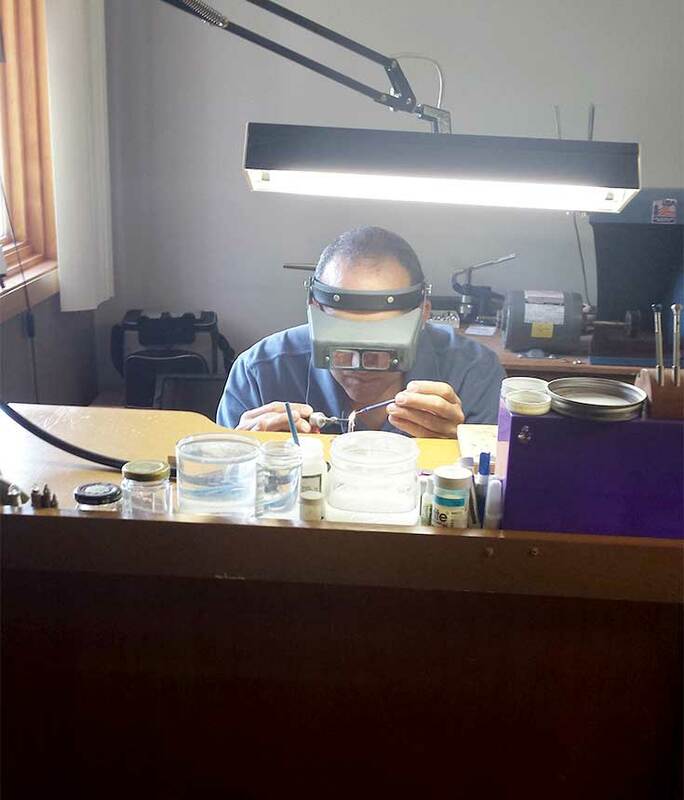 With over 25 years experience behind the bench, Troy specializes in repairs of all types of jewelry made of all types of metals. Ranging from fine jewelry, costume, vintage and antique jewelry. See our about us page to learn more about Troy. Recreating from old pieces bringing in new ideas to enhance the piece for a totally new in style look. Keeping the old pieces wearable and beautiful. We offer FREE no obligation quotes and Free ring cleaning and inspection.